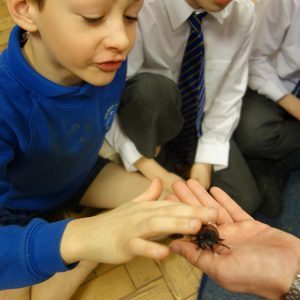 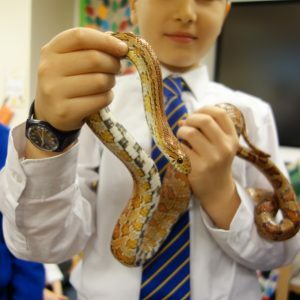 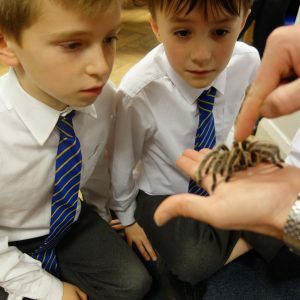 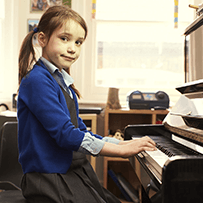 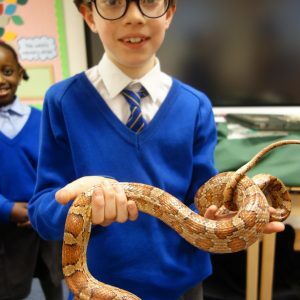 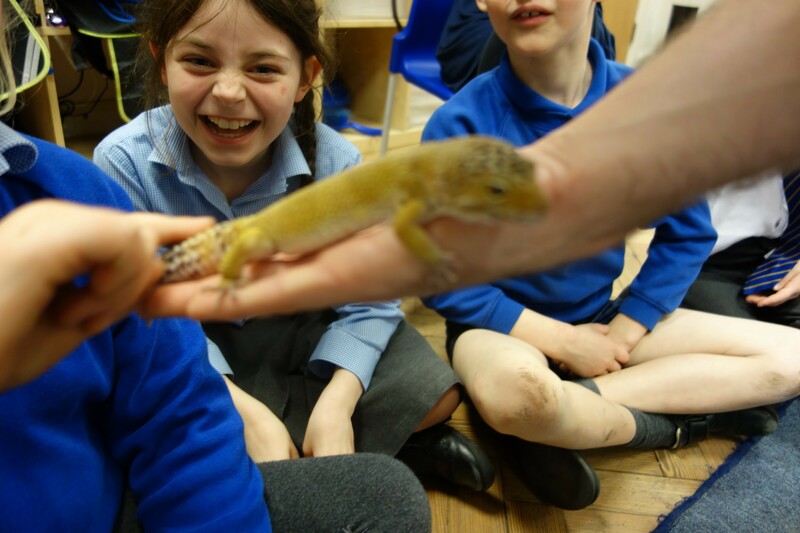 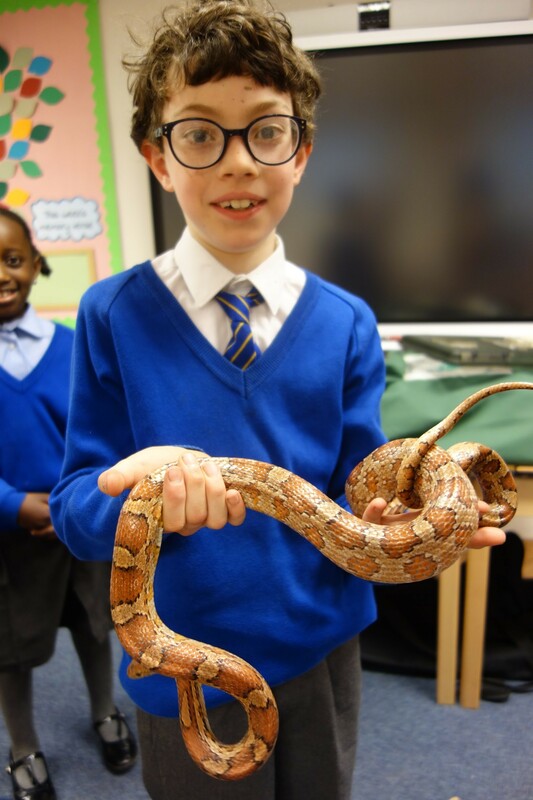 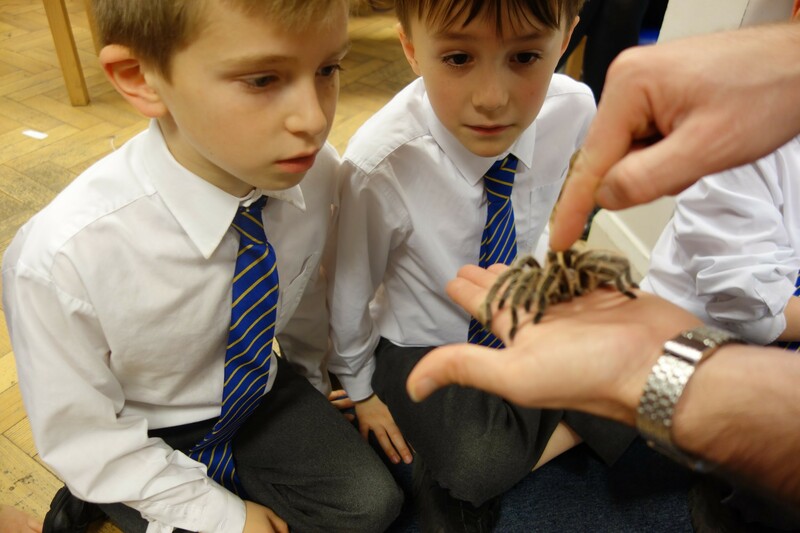 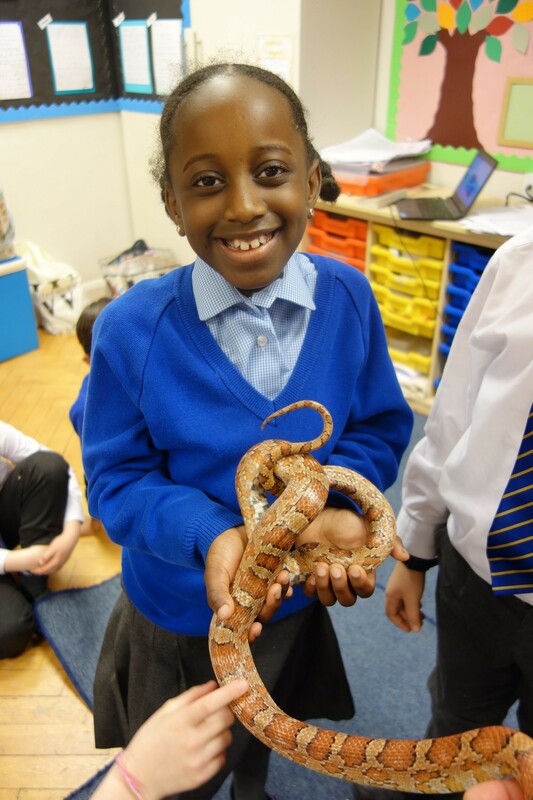 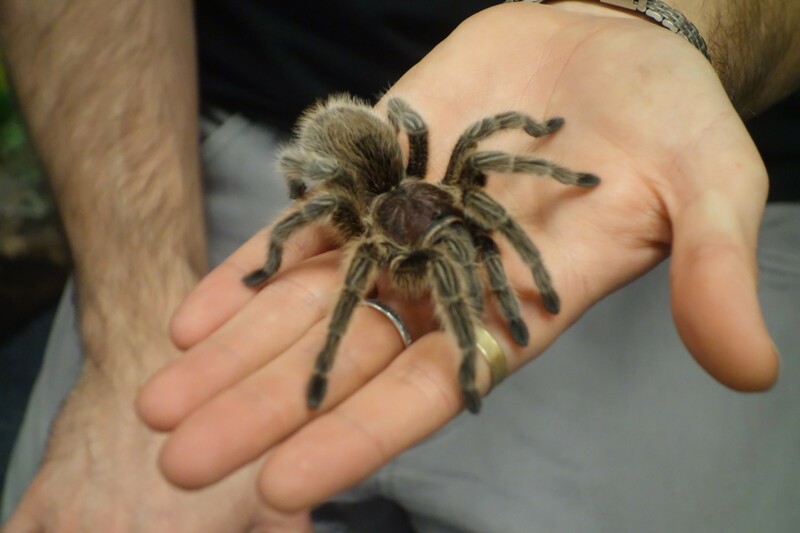 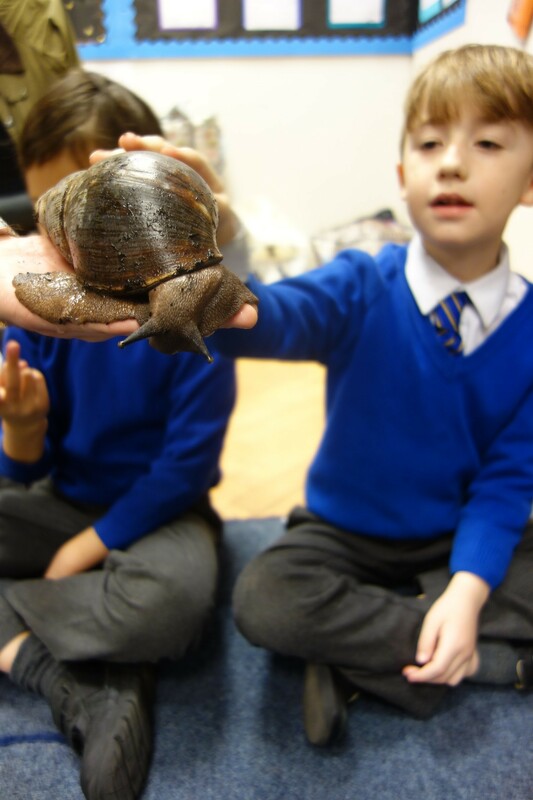 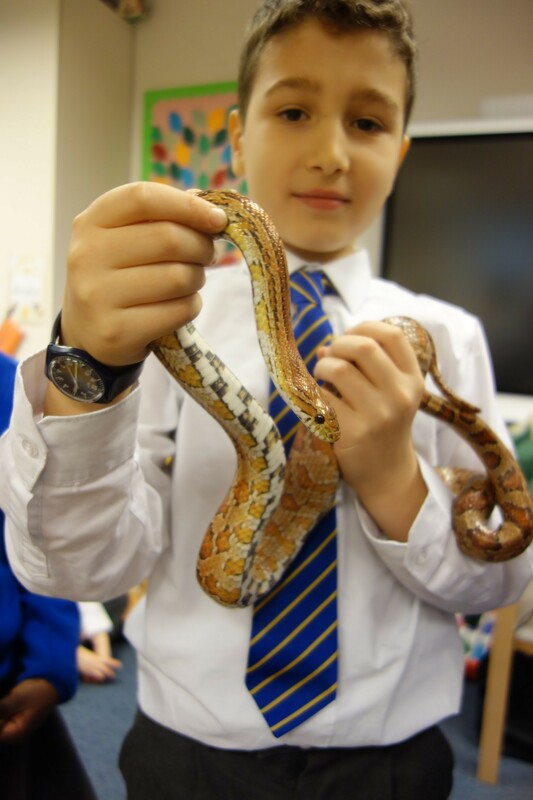 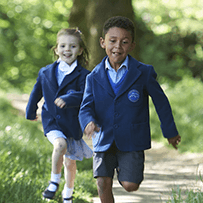 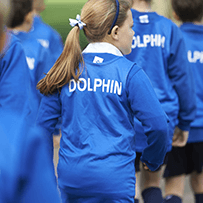 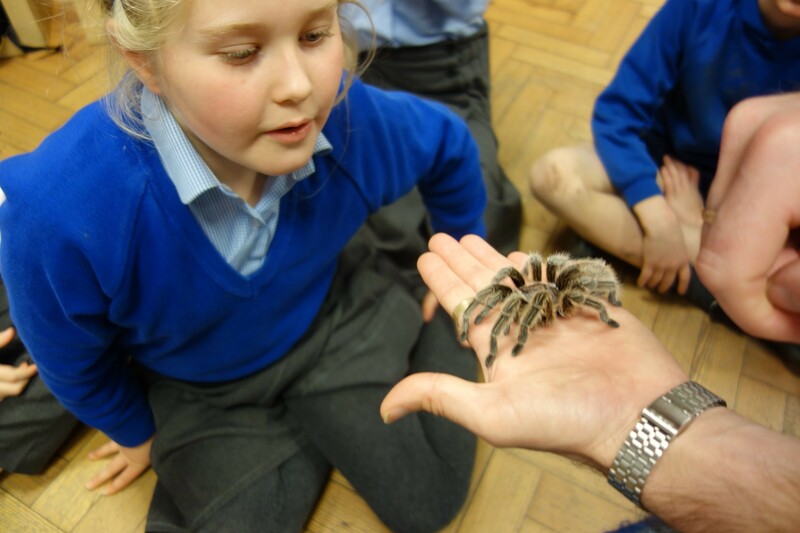 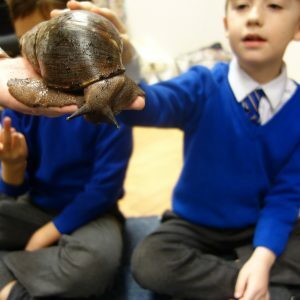 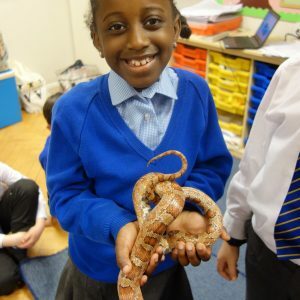 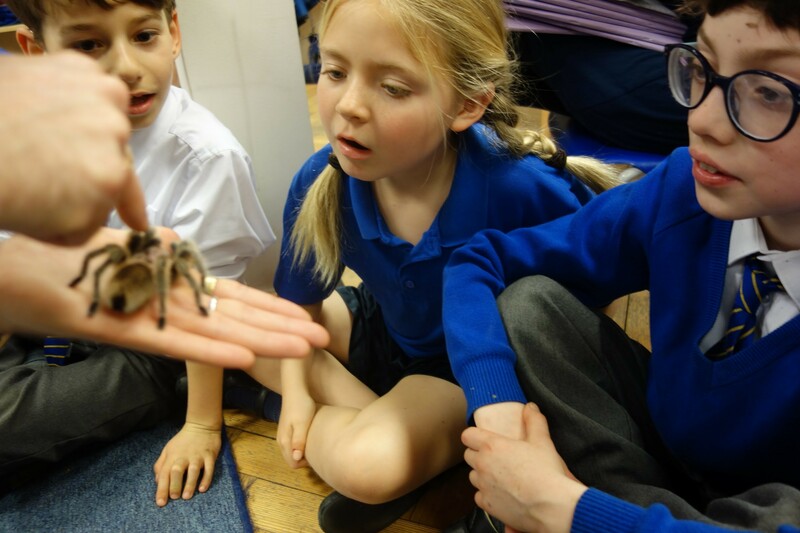 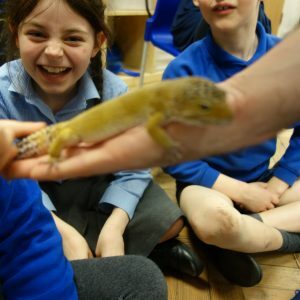 On Monday, the Year 3 Rubies had a group of unusual visitors to the classroom – creatures of all different shapes and sizes, some of which we could touch, and others that we preferred not to! 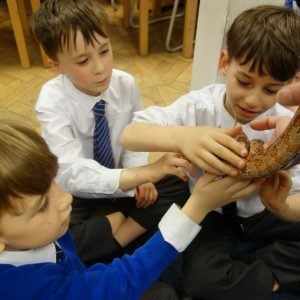 Our Geography topic of Rainforests came in very useful, while our growing knowledge on invertebrates from Science helped us to understand more about the animals that we met. 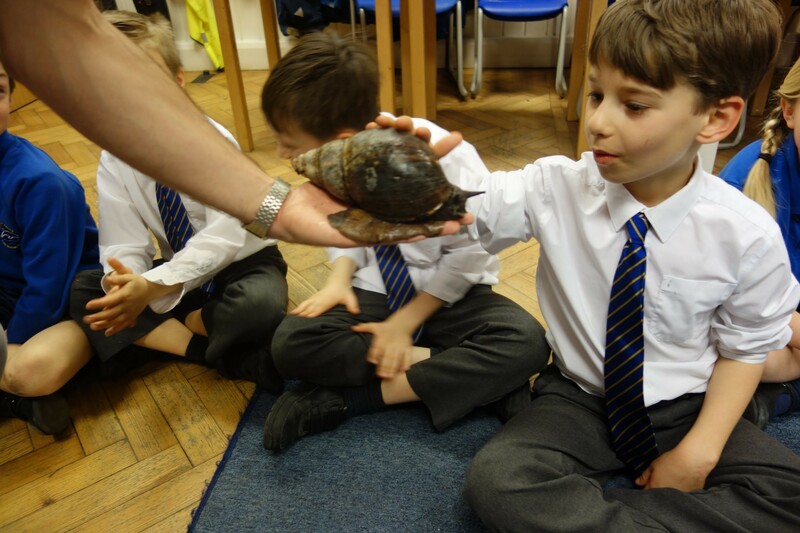 Among our interesting guests was a dangerous scorpion who glowed blue under an ultraviolet light, and a giant snail who was older than us! 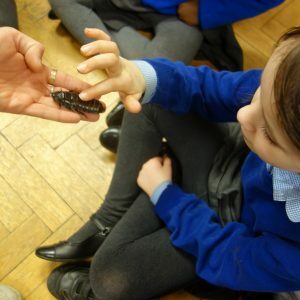 We were able to stroke a cockroach (though this did not appeal to everyone!) 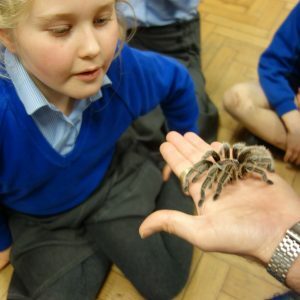 and heard that they have the amazing ability to come back to life after being frozen and can survive without their head for up to a week! 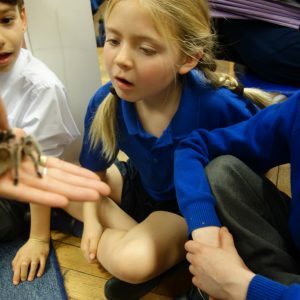 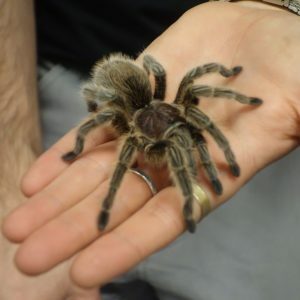 The sense of anticipation went up a notch when a huge, hairy tarantula was brought out of its box, and we watched with bated breath as it crawled over its handler’s hands. 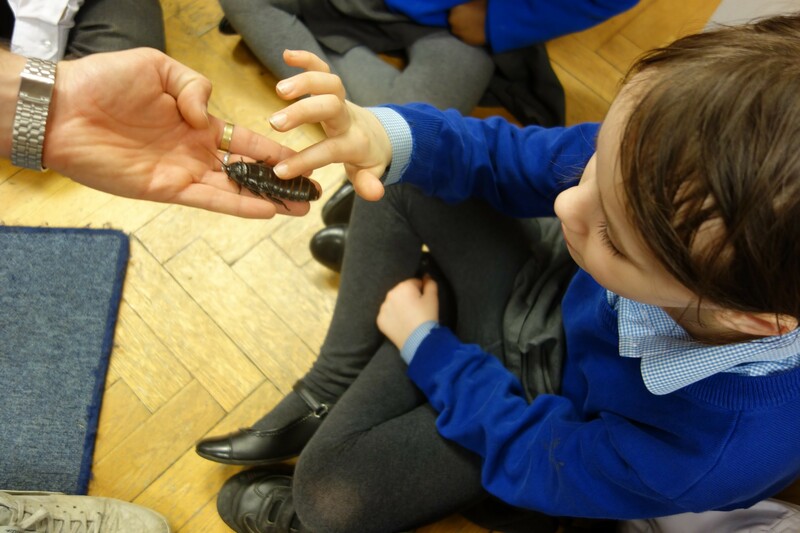 We were able to have a closer look but, to the relief of almost all in the room, we did not have to pick it up ourselves! 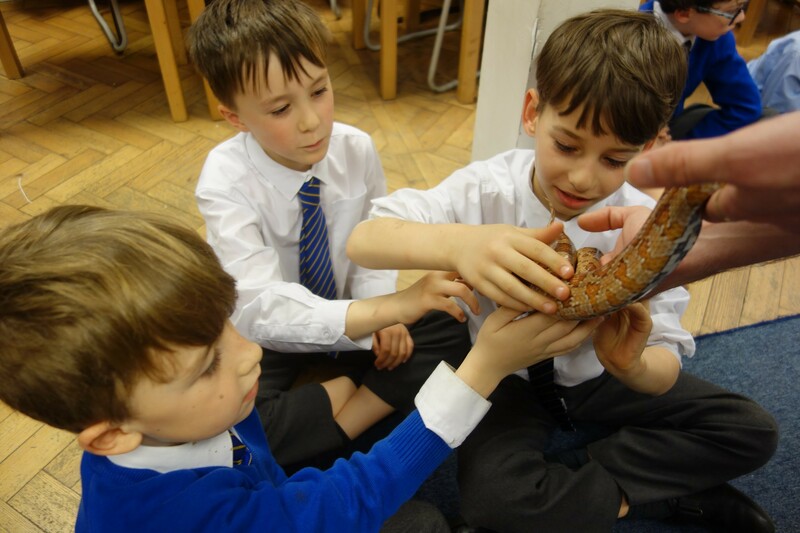 After an encounter with a very relaxed gecko, we met a beautiful snake and, as we gently stroked his scaly skin, we were astonished by how smooth and cool it felt under our fingers. 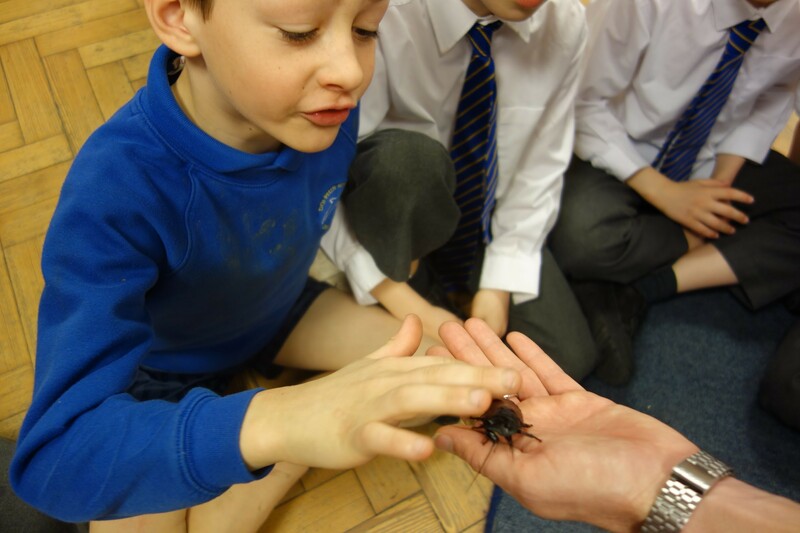 A few brave members of the class were even able to hold him. 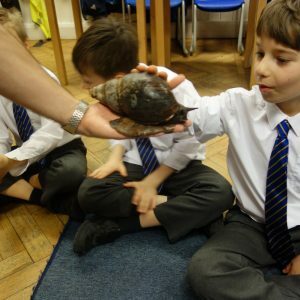 It was a thrilling afternoon where our heads were stuffed to bursting with fascinating facts about the exciting critters of the rainforest.